Caption: A View of Caversham Bridge from the Promenade by W R Higgs, 1977. Signed. The Bridge over the River Thames is viewed from the west. 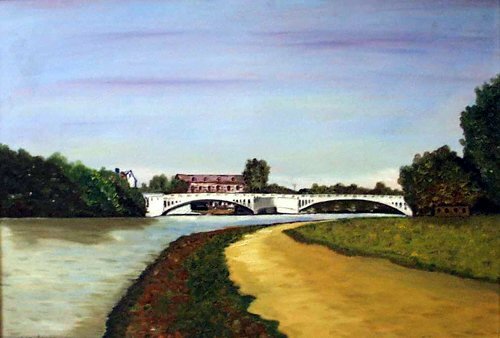 The painting was the prize winning entry in a local Waterways Exhibition competition.